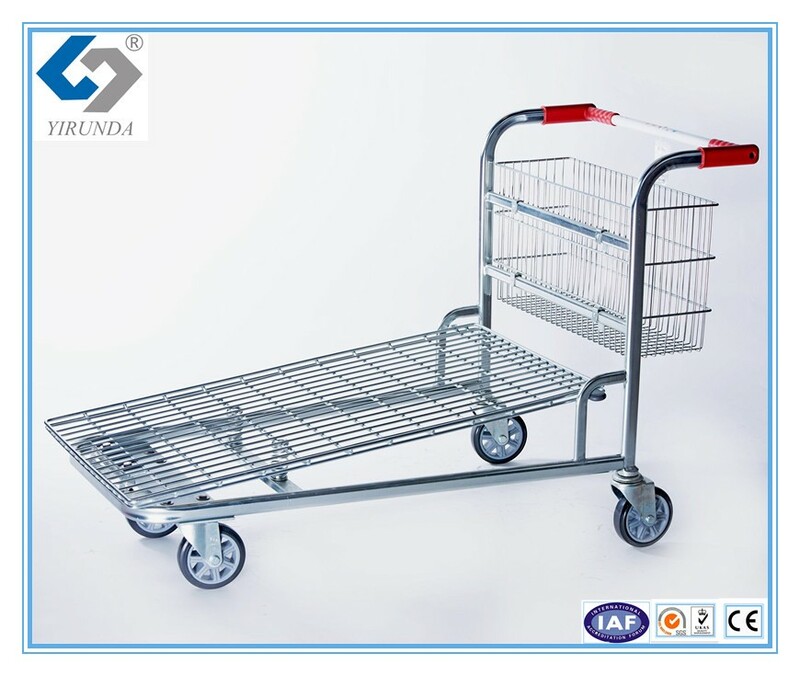 This shopping trolley is with European Chassis. 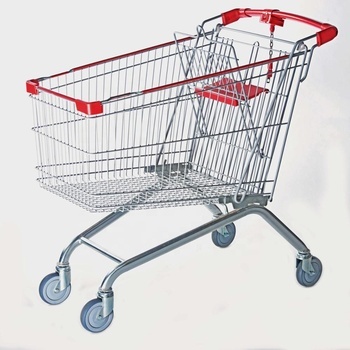 It's simple and grace. 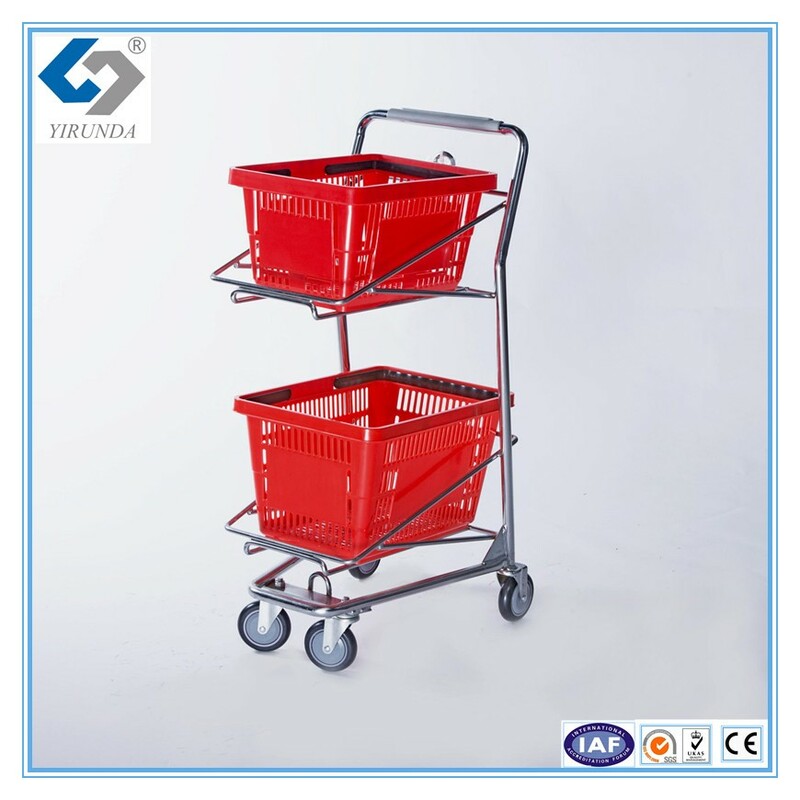 Note:Trolley locks system can be chose. 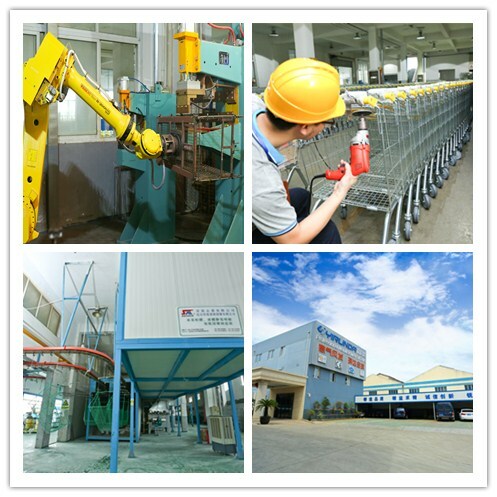 Welled by Japan Automatic Welding Robots and professional workers, the weld seams are full, good-look, smooth and firm. 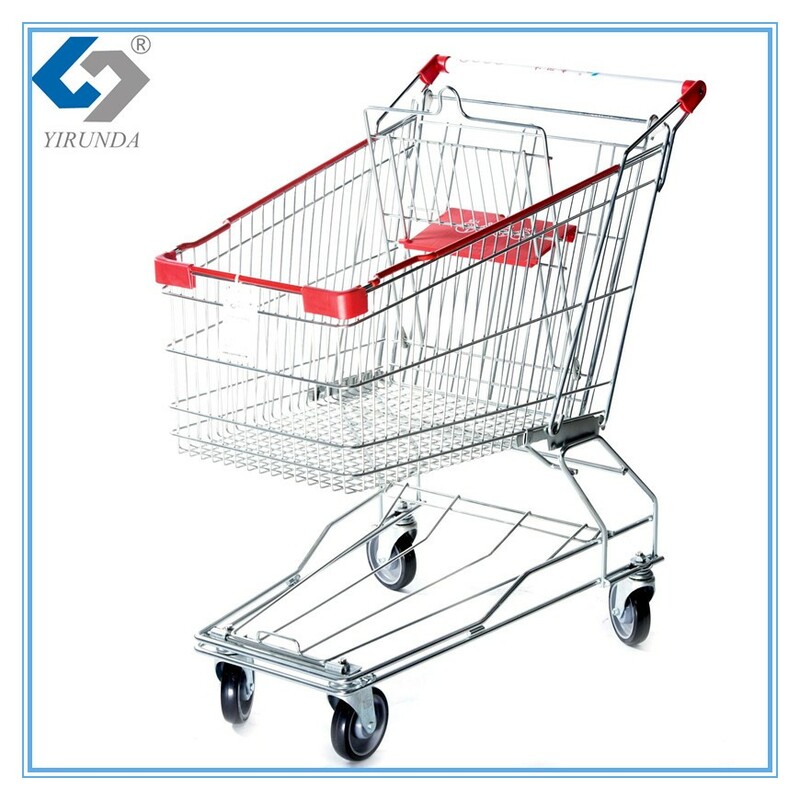 High-gloss galvanized, chromed, transparent powder coating prevent them from erosion. 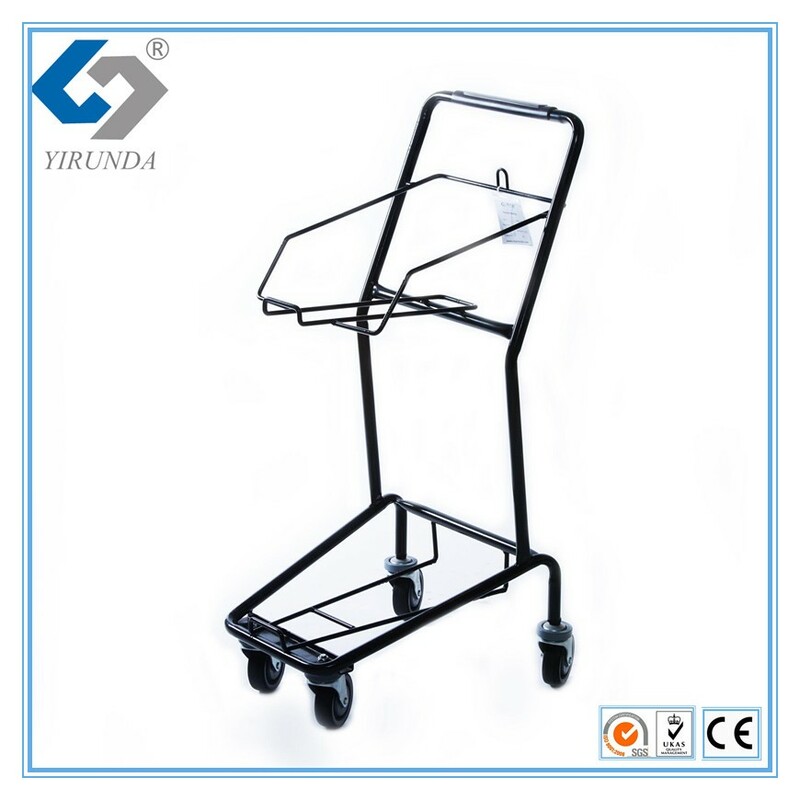 Below are the Other Volume of this style. 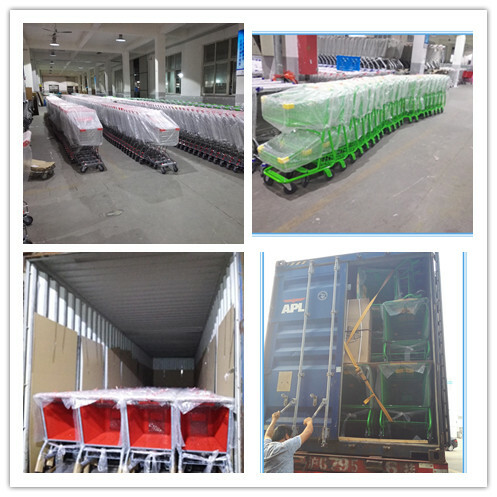 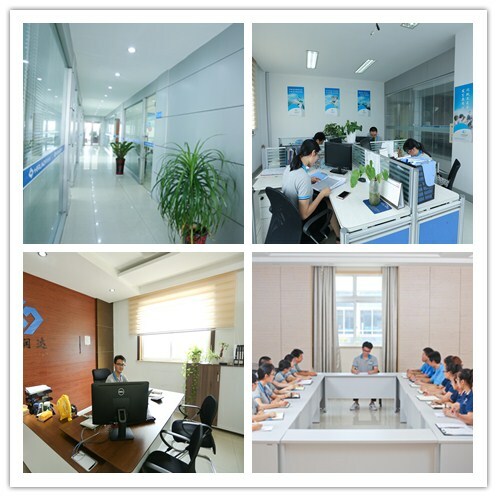 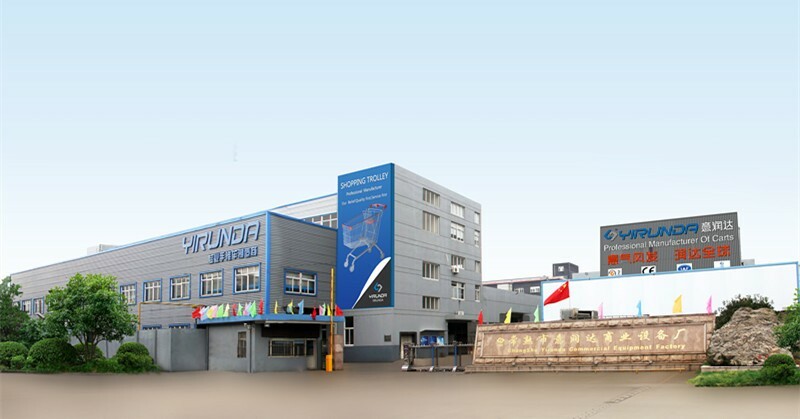 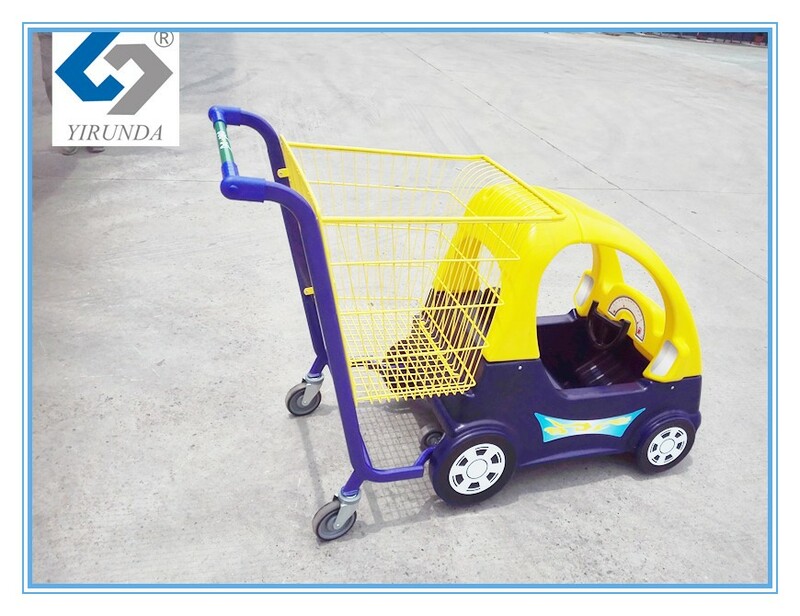 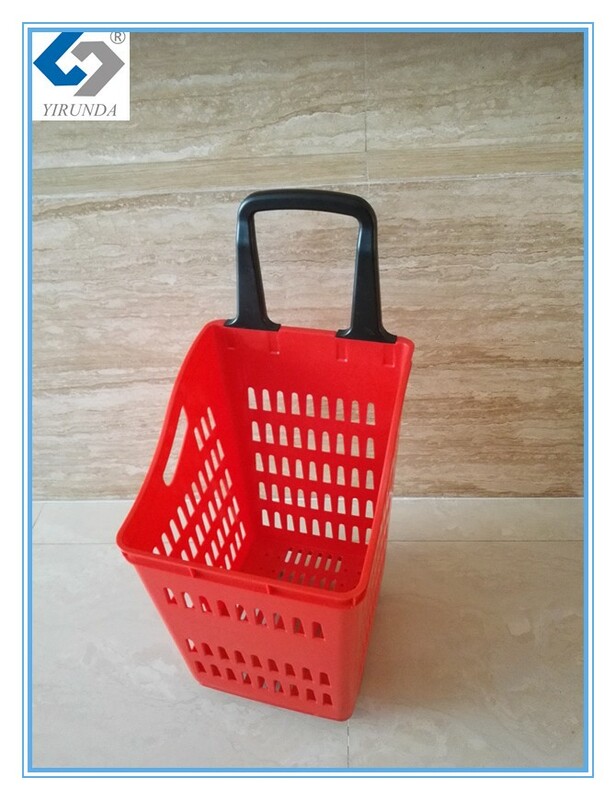 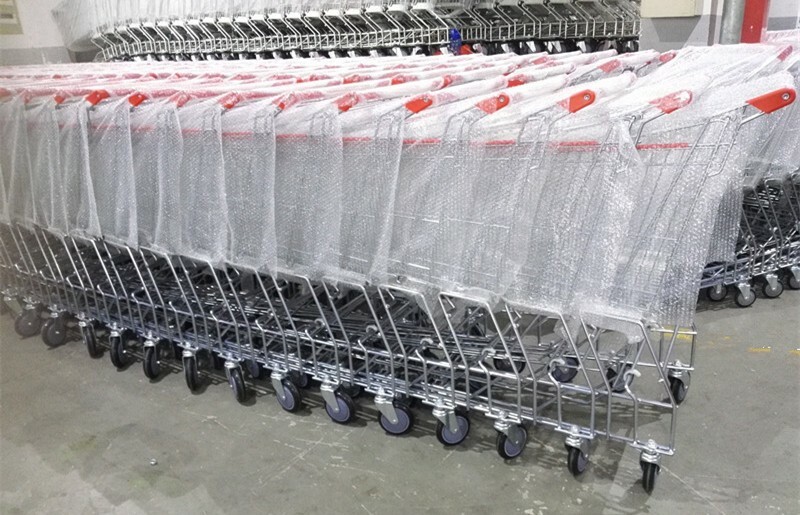 Our factory have more than 10 years in experience shopping trolley and shopping baskets.